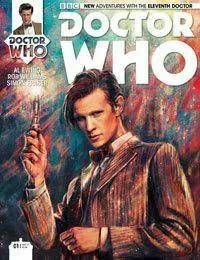 A stunning new era begins for the Eleventh Doctor, as played by Matt Smith!. Alice Obiefune has just lost her mother when the Doctor explodes into her life. But what does this grieving young woman have to do with the career of a 70s musician, an amnesiac alien, and a terrifying cosmic threat? In the wake of the second Big Bang, find out what the Doctor gets up to when Amy and Rory aren't around!